All the latest updates. Check back here often. Neuroscientists and surgeons successfully grafted human neural progenitor cells into rhesus monkeys with spinal cord injuries. The grafts not only survived, but grew hundreds of thousands of human axons and synapses, resulting in improved forelimb function in the monkeys. 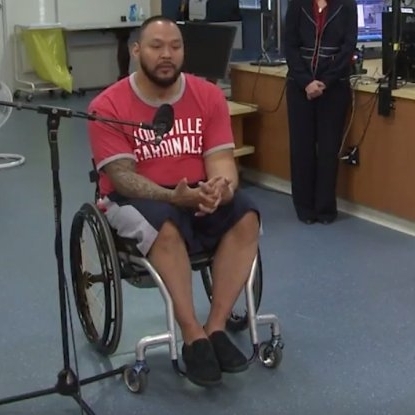 Through a combination of electrical stimulation and intense physical training, a man with a complete spinal cord injury has regained the ability to independently stand up and move his legs. A group of drugs being tested for cancer could also be used to treat spinal cord injuries, a study in mice suggests. According to researchers, although early in its development, spinal cord stimulation is one of the first-ever clinical tools with the potential to improve recovery for patients with severe spinal cord injuries. A drug that can encourage nerves in the spinal cord to grow and repair injuries has been developed by US scientists. While early research suggests cell therapy could be used to treat spinal cord injury, it’s still very early days. For now, exercise therapy holds the best promise for recovering movement. An experimental treatment using controversial embryonic stem cells to fix severe spinal cord injuries has new life under a new company.